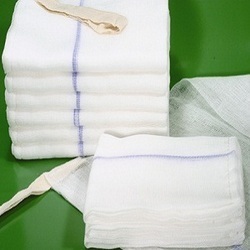 Bleached Cotton Wadding or Batting is very popular in Home Furnishing Industry and baby care products. We are offering Chemical - Bonded Bleached Cotton Wadding / Batting. Packing for Cotton Wadding : 100 mtrs roll, 30 mtrs roll and also in 10 mtrs pack - for domestic purposes. - Raw Material 100% pure Cotton. - Complete Natural manual yield. - Purchase from certified unit (GOTS - Global Organic Textile Standard). - Each and every invioce we get certified. - 100% production without any chemical added. 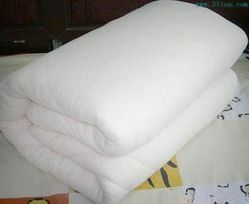 Its a Non-Bonded Wadding has a width of 40 inches and length of 2.5 meter per piece. GSM as per End user.